This is a weekly feature highlighting some of Iowa’s unsolved homicides in the hopes that it will lead to new tips and potentially help solve cases. The project is a partnership between this newspaper and other members of the Iowa Newspaper Association. 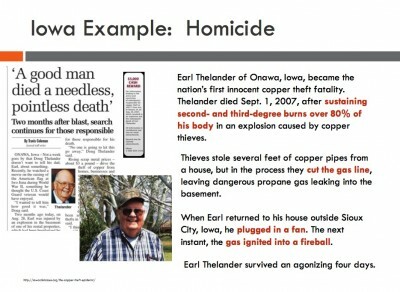 ONAWA – Earl Thelander sustained second- and third-degree burns over 80% of his body in an August 28, 2007 explosion caused by copper thieves. 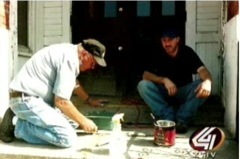 The thieves had stripped propane gas lines from a country home that Earl and his wife Hope had been renovating. Part of the GONE COLD: EXPLORING IOWA’S UNSOLVED MURDERS series. Earl Thelander sustained second- and third-degree burns over 80% of his body in an August 28, 2007 explosion caused by copper thieves. 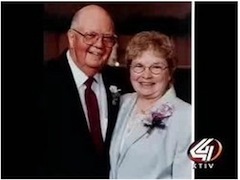 The thieves had stripped propane gas lines from a country home that Earl and his wife Hope had been renovating. The year was 2005. Newspaper reporter Jody Ewing had finished her series on a half-dozen Sioux City-area cold case crimes for the Sioux City Journal magazine, the Weekender. But months after the last paragraph published, emails and letters continued. Family members of victims, amateur crime historians and retired law enforcement officers wrote and called Ewing with more stories of unsolved crimes from across Iowa. When Jody Ewing first began writing about Iowa’s unsolved murders, people would ask if she had a personal connection to a cold case that sparked her interest. Until 2007, the answer was always no. On Aug. 28 of that year, 80-year-old Earl Thelander of Onawa, Ewing’s stepfather, was cleaning the basement of an unoccupied rental property that had been gutted by copper thieves. Earlier that day, he and law enforcement officials had turned off the propane tank and aired out the house, but when he turned on a blower fan to dry out the basement, it ignited an explosion. Thelander died of severe burns four days later. The theft of copper and other scrap metal from construction sites, homes and businesses is a national problem, including here in Iowa. Not only are businesses and individuals being robbed, this is a serious threat to public safety. 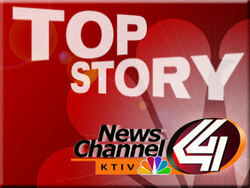 For example, thieves are entering homes and stealing copper wiring and tubing. That creates fire hazards and other serious dangers to Iowans. 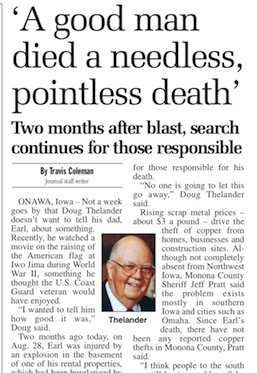 In Monona County, Earl Thelander died in 2007 from burns he suffered in an explosion after thieves stole copper piping from his rural Onawa property. That’s why the Senate Judiciary Committee has approved House File 2399. The bill requires all scrap metal dealers to keep a record of their scrap metal purchases. The dealers are required to get the name, address and place of business of every person who sells them scrap metal. In addition the seller must provide some form of government-issued photo identification. These records will be kept in a confidential log that law enforcement can use if needed in a criminal investigation. A webinar focused on copper theft affecting critical infrastructure and designed for individuals interested in collaborating with public agencies and private-sector organizations to successfully investigate and prosecute copper thefts. 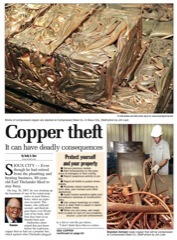 After a rash of attempted copper thefts, authorities want people to know the dangers from stealing copper are real. One Siouxland family has come face to face with the deadly dangers that copper thieves can leave behind. This story about Earl Thelander is a few years old, but I just read it and realized that it could happen to ANY ONE OF US. How could this have been prevented? How long do you need to air out a house after a major propane leak? Onawa, IA – For Jody Ewing of Onawa, near Sioux City, this is her calling. Remembering the forgotten. Profiling cold, unsolved cases throughout the state on her website iowacoldcases.org. ONAWA, Iowa – Bringing up unsolved murders can be a double-edged sword. On one hand, victims’ families hope new stories and information can cut through years of mystery and uncertainty and bring to justice the person responsible for their loved one’s murder. … A thief who stripped copper tubing from a propane tank in western Iowa in August was blamed for a buildup of gas in a house. 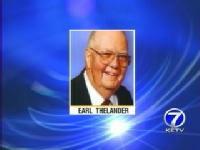 The explosion killed 80-year-old Earl Thelander of Onawa. SIOUX CITY — Even though he had retired from the plumbing and heating business, 80-year-old Earl Thelander liked to stay busy. On Aug. 28, 2007, he was cleaning up the basement of one of his rental properties in rural Onawa, Iowa, when an explosion occurred. Thelander, who suffered second- and third-degree burns over 80 percent of his body, died four days later at an Omaha burn unit. The television newsmagazine reports on the nationwide copper theft epidemic and the death of Earl Thelander of Onawa, Iowa. 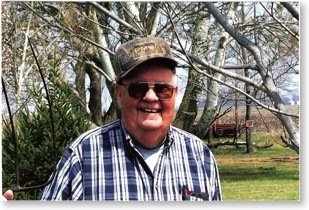 A year after his death, Earl Thelander’s family plants evergreen trees in his memory.